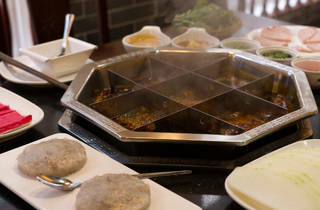 A Sichuan hotpot restaurant in Chinatown. 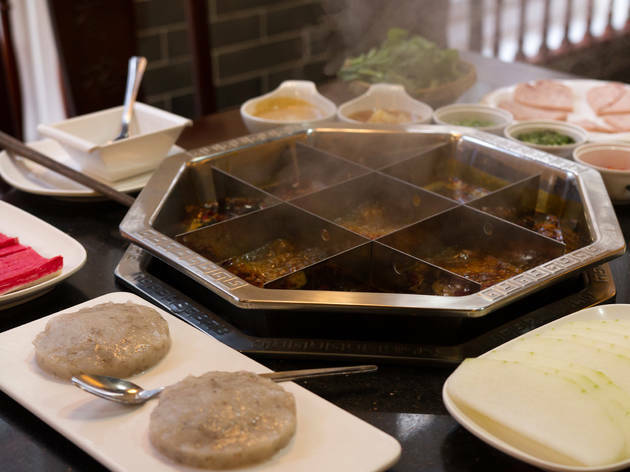 Tucked away on Chinatown’s Gerrard Street, think of Shu Xiang Ge as a place for gastronomical DIY. 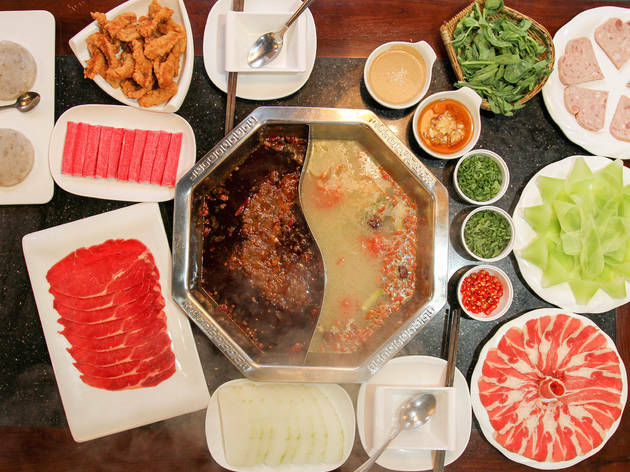 Built into each wooden table is space for a hotpot: literally a bubbling broth, or two. 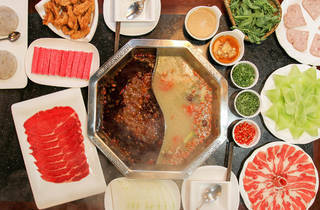 A nice combo is the tongue-numbing, so-spicy-it-tastes-soapy ‘beef fat red oil’, and the milder ‘bone and mushroom soup’. You then plop in your chosen meats, fish and veg to cook. Brains had apparently run out, so I plumped for beef aorta instead. It arrived in thick, mottled slabs in a luscious tone of brown. It was acutely rich – a bit like liver – but an exciting order. 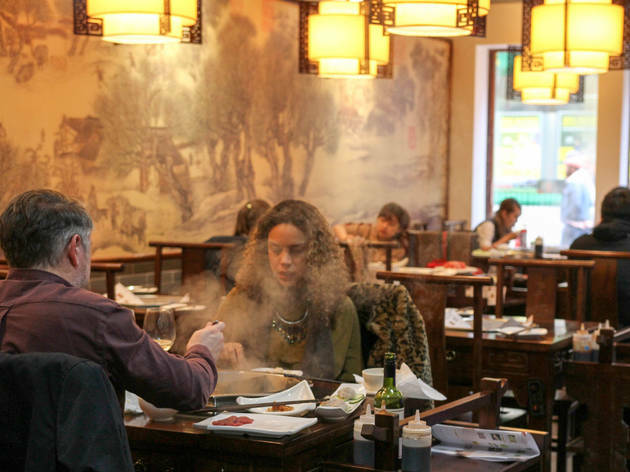 There’s no pandering to the Western diner at Shu Xiang Ge. 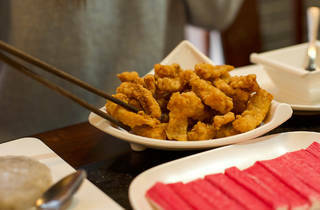 That’s what makes it so lovable: the menu is deliciously grisly, the one-roomed space is just a little bit dingy, and the playlist is exclusively Asian pop. 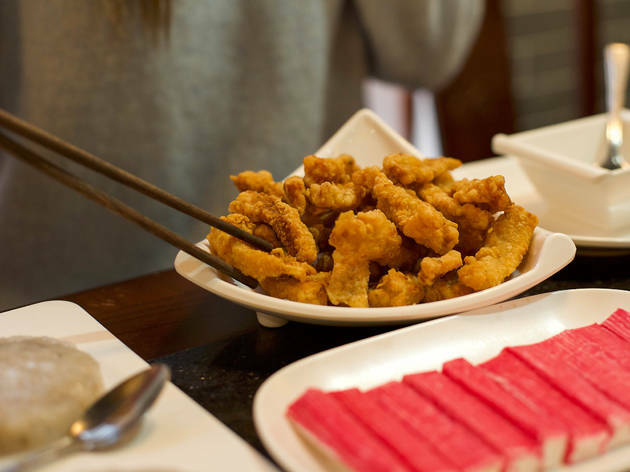 Fuzhou fish balls arrived at the table as a translucent, paté-like plate of fish before being rolled into balls by the waiter, then thrown into the pot. Ready to eat the moment they rose to the surface, they were like succulent prawn dumplings. Less successful was a plate of baby octopus that you would have had to have been an expert chef not to overcook. Every single tentacle came out like rubber. 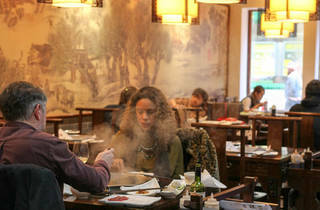 The waiters at Shu Xiang Ge are polite and efficient, but the cooking is on you. On the way out of the packed room I found myself peeking into everyone else’s pots. If you still want to do that after a huge lunch it’s a good sign. On my next visit I’m hoping for brains.